According to the CARP, about 10 percent of the senior population is affected by financial abuse. Because some instances likely go unreported, this number could be considerably higher, meaning there are many criminals hoping to scam seniors out of their money. One of the most popular ways to approach these scams is over the phone since it offers some anonymity. The staff at Home Care Assistance, a leading provider of elder home care Guelph families trust, has put together a list of 5 common phone scams to help your senior loved one increase his or her awareness and remain safe. With the many changes in healthcare, seniors may become confused when they receive phone calls from criminals claiming to represent Medicare or a private insurance company. The caller may urge your loved one to divulge personal information that can be used to steal his or her identity or make fraudulent health insurance claims. If your loved one receives a call from an insurance company, he or she should never give out any personal details over the phone and should contact his or her insurance directly for more information. In this scam, criminals pose as grandchildren or great-grandchildren in need of help. They will often tell seniors they have been in an accident, are stuck in jail, or need medical assistance. Because technology allows criminals to find information on the Internet about family members, the person posing as the relative often has detailed information that makes them sound credible. Your loved one should verify if his or her grandchild is actually in need of money through other family members before providing assistance. Your loved one may receive a phone call from his or her electric, gas, or water company stating services will soon be cut off due to unpaid bills. The scammers will demand money immediately over the phone to prevent services from stopping. Inform your loved one of this scam and encourage him or her to always hang up and call back the utility company’s account services number to verify any problems before rendering payment. Scammers prey on people’s fears of the CRA when they call and pretend to be collecting taxes. Your loved one may be urged to pay his or her overdue taxes immediately to prevent being arrested or fined. If there is a problem with your loved one’s taxes, the CRA will contact him or her with a letter. Your loved one should never pay over the phone and should never divulge any personal information. Family information can be obtained by reading obituaries. Scammers who get this information may contact your loved one claiming to be a relative in need of money or ask for money to pay the deceased’s bills. Because the passing of a loved one can leave a senior vulnerable, many fall for this scam. Encourage your loved one to never pay money over the phone to an unknown caller. 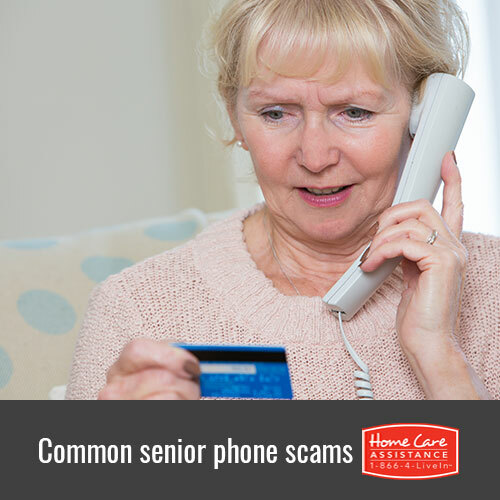 To learn more about senior safety and preventing scams targeted toward the elderly, reach out to Home Care Assistance. As a leading provider of Alzheimer’s, Parkinson’s, and stroke care in Guelph, we are dedicated to ensuring optimum safety for the aging adults in our care. 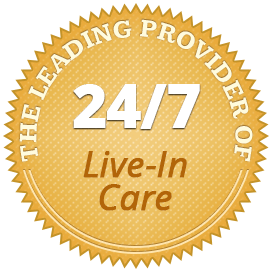 For more information on how our in-home care services can lead to a safer and healthier life for your loved one, call one of our friendly Care Managers at (519) 954-2111 today.